With recovery still underway from last year’s Atlantic hurricane season in the Caribbean, YachtAid Global is encouraging yachts to be ready to respond as this year’s seasons across the Atlantic, Eastern North Pacific and Western North Pacific begin. Superyacht aid organization, YachtAid Global has compiled a number of tips for yachts seeking to be ready to assist should this year’s hurricane seasons prove as virulent as 2017’s. This year’s seasons officially began 1 June, and May 15 for the Eastern Pacific, and YachtAid Global is urging yachts planning to cruise affected regions to take small steps to be ready to respond in the aftermath of large hurricanes. Post-storm damage can include anything from lifted roofs, lack of potable water and food, to lack of crops, ongoing power sources and other facilities needed for islands to be self-sufficient. “We work closely with AYSS agents on the ground in each region,” says YachtAid Global Executive Director, Tim Forderer. YachtAid Global’s emergency management expert, Kevin Peach works with the United Nations, the Federal Emergency Management Agency (FEMA) and other international agencies. Peach is a specialist in inter-agency coordination and facilitates YachtAid Global’s work as the maritime arm of these, and other agencies, in the wider relief efforts of an emergency response. Peach is one of the visionaries behind Partnership 4 Humanity; a global fourth party logistics provider conglomerate of NGOs which use their combined power to distribute more aid, further. This means YachtAid Global is in sync with national and international governing bodies and able to relay accurate ground-truth information to yachts which wish to respond to a region. Once the yacht’s crew and management team have this data, they can be confident they’re carrying the aid and supplies which are most-essential to recovery. YachtAid Global works with Global Support and Development, an elite team of professionals, who go into disaster zones to protect first responders, carry out search and rescue operations, provide full medical teams and other crucial emergency responses. The organization has coordinated the GSD team to provide a three day first responder training course designed specifically for yacht crew. The course is free and covers logistics, yacht preparation, heli ops, seaplane ops, medical training, water safety and more to give crew the skills to provide meaningful assistance in an emergency response. Key outcomes of the course include educating crew on how to stay safe in a disaster zone and training them to be ready for GSD to run operations from the vessel. 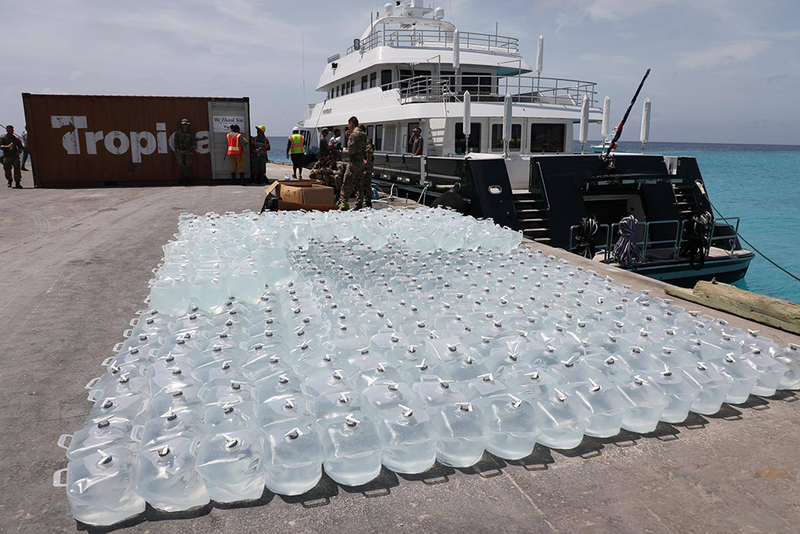 Much of the supplies yachts can be called on to deliver are food and water, however there are many other ways a yacht can help. Acting as an intel or communications base can be crucial, as well as a vessel for medevacs. One of the most important roles yachts play though, is that of bringing hope. 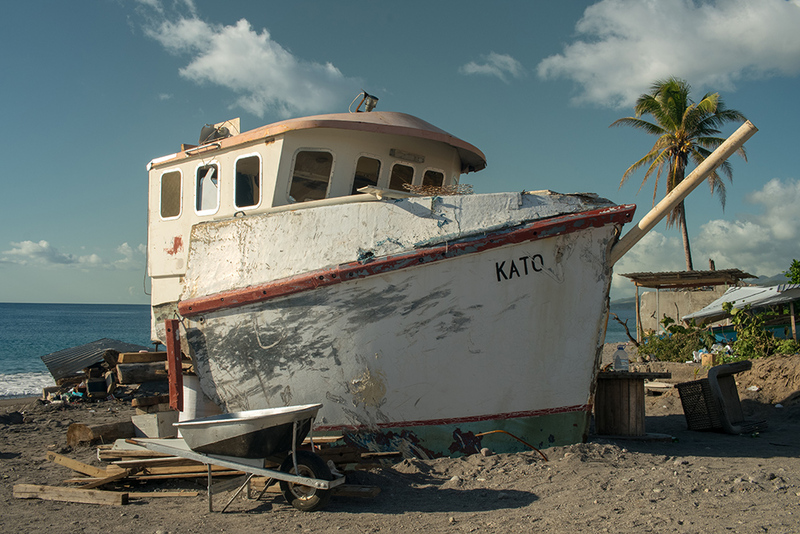 In remote parts of a badly-struck region yachts can be the first vessels to arrive, reassuring locals affected that they are on the relief map. On-shore members of the industry can also play an essential role. Agents and managers can coordinate the yacht with latest information coming from YachtAid Global and organize donations. In regional yachting hubs YachtAid Global’s partners - for example Estela Shipping in Palma and Eco-Mer in Antibes - coordinate large and small donations as well as the loading and clearance of aid. Regional representatives then feed into YachtAid Global which is able to coordinate with the government or contact on the ground; acting as a single point of contact for the superyacht industry to ensure well-intentioned aid enquiries don’t swamp resources in affected areas. Media’s role in an emergency is vital. With widespread use of social media, images and information after a natural emergency are extensively shared, though they’re not always an accurate representation of events on the ground. To mitigate this, YachtAid Global’s team works with Humanity Road - a respected, reliable source of ground truth information - to provide a source of accurate, ongoing information for media. The organization is also adept at helping local media disseminate information from their perspective in the emergency zone. To become involved or find out more, register your interest with YachtAid Global. YachtAid Global are the Yachting Industry's leading humanitarian charity.